Celebrate the Fall with a cozy movie night or a board game night! A fun set of images this month from My Monthly Hero Arts. I send this card to my beautiful sister, Carolyn. We always used to swing from the tree in the front yard. 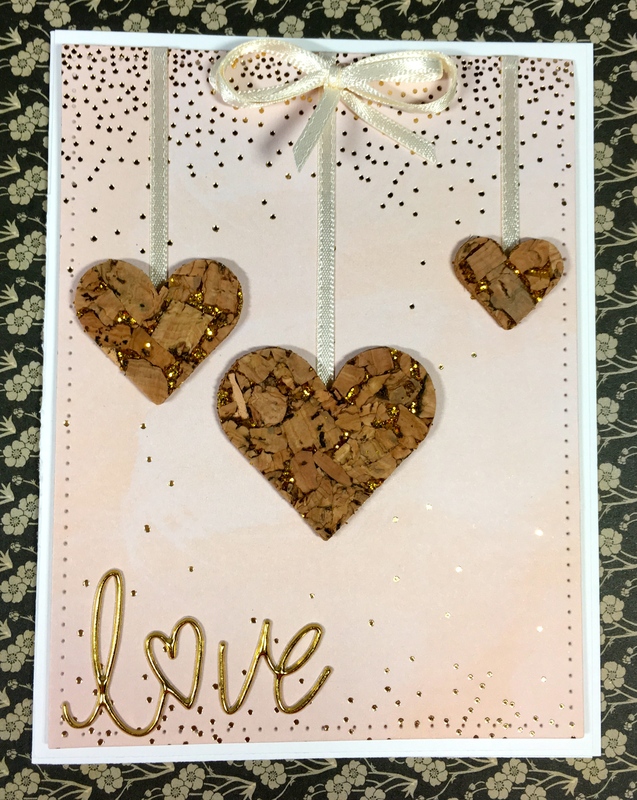 Love these cork hearts and gold sentiments from Simon Says Stamp. Happy Anniversary to Oma and Opa—55 years! This psychedelic card is a combination of distress oxide inks, stencils, die cuts and outline stickers. 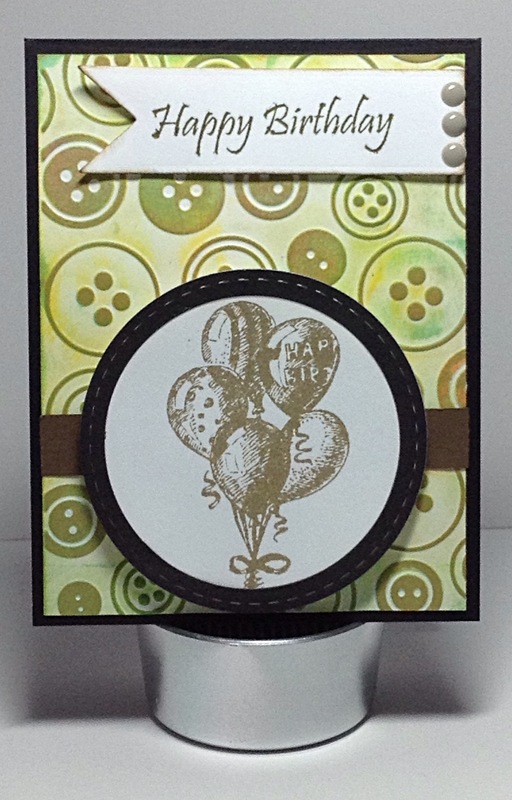 This fun masculine card features a button embossing folder inked with green distress inks. The image is from Fun Stamper’s Journey “Birthday Sketch”. Spring colors will bring a smile to anyone’s face. This Garden Bench card will definitely bring many smiles. The simplicity of the background really allows the Garden Bench and flowers to shine. I started with a 5 1/2 x 7 1/2 white card base. My mint green card stock is cut to 5 3/8 x 7 3/8. 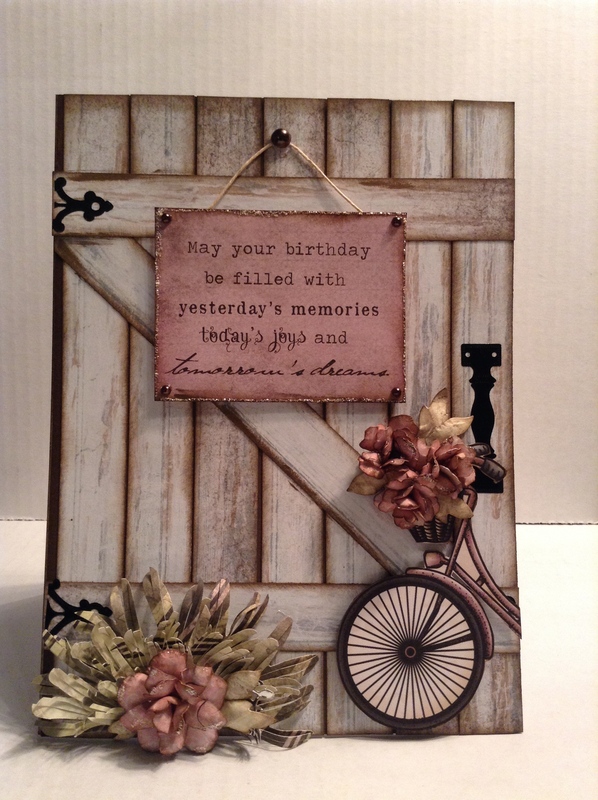 I then ran it thru my machine with a Decorative Tile embossing folder by Cuttlebug. For my white decorative piece, I used a piece of card stock that measured 5 1/4 x 7 1/4. I faintly scored it into thirds to give myself a guideline for the decorative edges. 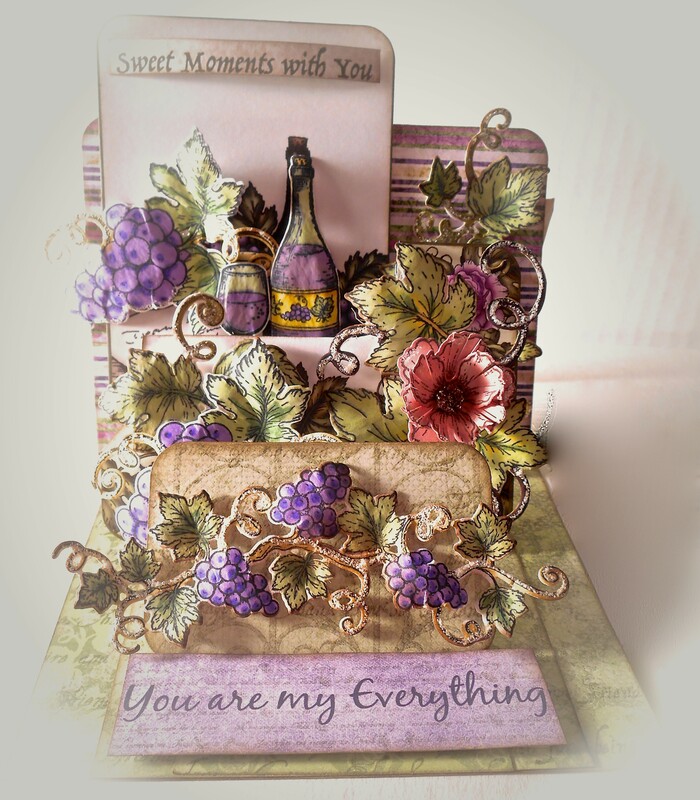 I placed the Italiana Grape Cluster die by Heartfelt Creations on the 1/3 and 2/3 scored lines and die cut the paper. I used the Swiss Dots embossing folder by Cuttlebug to add some texture. I attached a piece of pink lace and then centered them over the mint card stock. For my decorations, I cut out the Garden Bench, 2 butterflies and my sentiment tag from the Classic Petunia Paper Collection. I die cut the Small Classic Petunias from the dark pink and light green papers out the paper pack. I used the smaller stamen die cut and snipped off1 stalk for each of these small flowers. 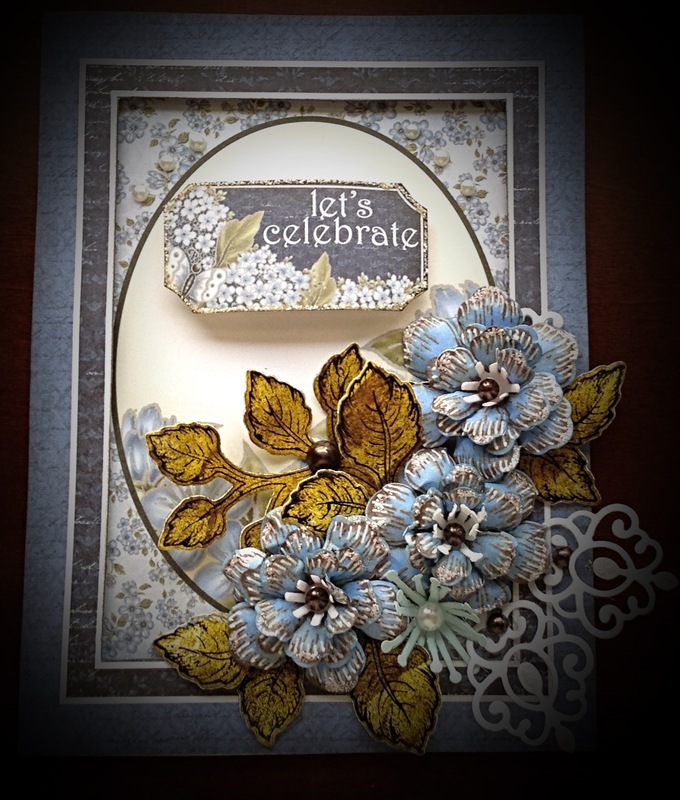 I accented the hat, butterfly and sentiment tag with white glitter. I finished off the card with 3 pearls down the pink lace. For the inside of the card, I lined it with the mint green card stock. So much joy can be yours when you share your creativity with others. Hello everyone! My name is Antoinette and I am starting this blog to share paper crafting ideas with anyone who is interested 🙂 I have been paper crafting for about 17 years. I would like to dedicate this site to my Mom who passed from Breast Cancer and Alzheimer’s in 2014. She was an inspiration in the crafting world and mine. 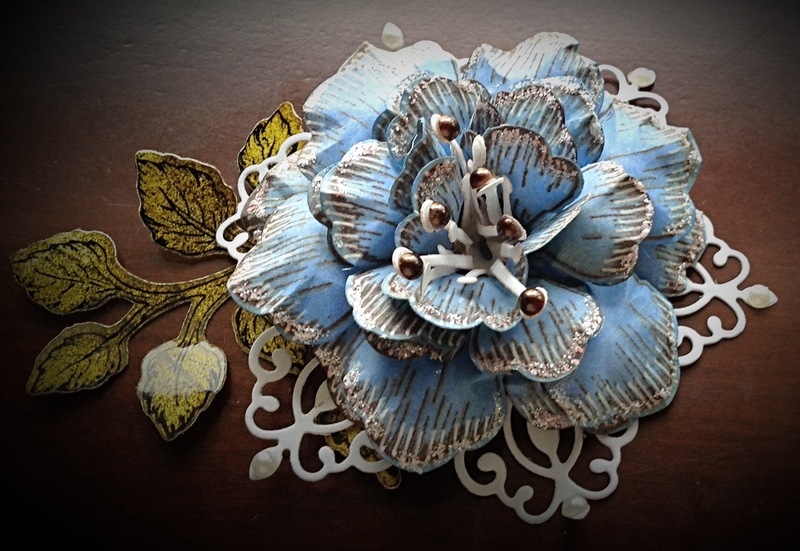 I would like to inspire card makers and paper crafters everywhere to share their craft. I would love it if every crafter took their cards to hospitals, nursing homes and other care facilities to put a smile on someone’s face. Maybe you know someone who is lonely? Take time out of your day to visit them and share your beautiful creations.